For more than forty years, Star Trek has made a phenomenal cultural impact. Now with the new movie well on its way, trekkies everywhere will want to get their hands on this kit. 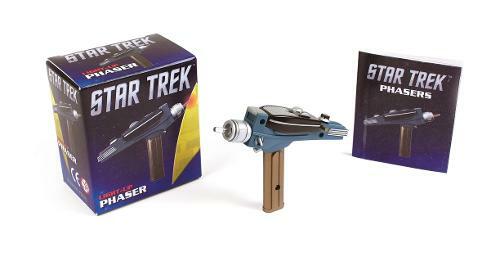 The kit includes a light-up phaser h76mm x w63mm (to get all the bad guys!) and a 32-page book on the history of phasers, and lots of fun quotes and images from the classic show.